Just five miles south of the Idaho-Utah border sits Garden City, Utah, located next to the pristine turquoise blue water of Bear Lake. 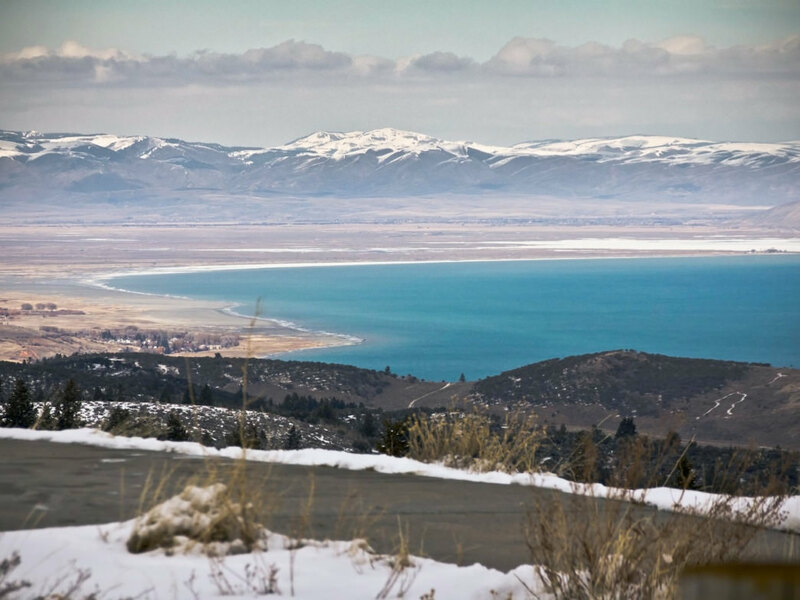 Although a popular summer destination for watersports, the Bear Lake Valley area and surrounding mountain terrain also provide the ideal playground for all sorts of winter activities. Ski Utah’s best powder at Beaver Mountain resort or explore 350 miles of well-maintained snowmobile trails. From the recreational to scenic, outdoor lovers will appreciate visiting this overlooked but worthwhile winter wonderland. The Beaver Mountain Ski Resort is only 15 miles west of Garden City and it boasts some of the best alpine skiing, snowboarding, and night skiing in northern Utah. Due to its remote location in Logan Canyon, "The Beav" (as it’s colloquially known) experiences fewer crowds and has a more local vibe to it than most major ski resorts in the area—hence why it’s considered one of Utah’s best-kept secrets. Ski season at the resort remains open December through March, and with four ski lifts, there’s plenty of accessibility for all ability levels. 2. You Can Ski from Your Hotel Room. Besides downhill skiing, there’s also excellent cross-country skiing starting right outside your door. In the wintertime, Garden City’s ATV trails of summer are transformed into smooth powdery pathways, and routes can even be found at the Bear Lake Golf Course. For a more scenic experience, venture to nearby Logan Canyon and ski through the mountain wilderness. Cover more ground in Bear Lake Valley by snowmobiling more than 350 miles of groomed trails and open play spaces on both sides of the Idaho-Utah border. 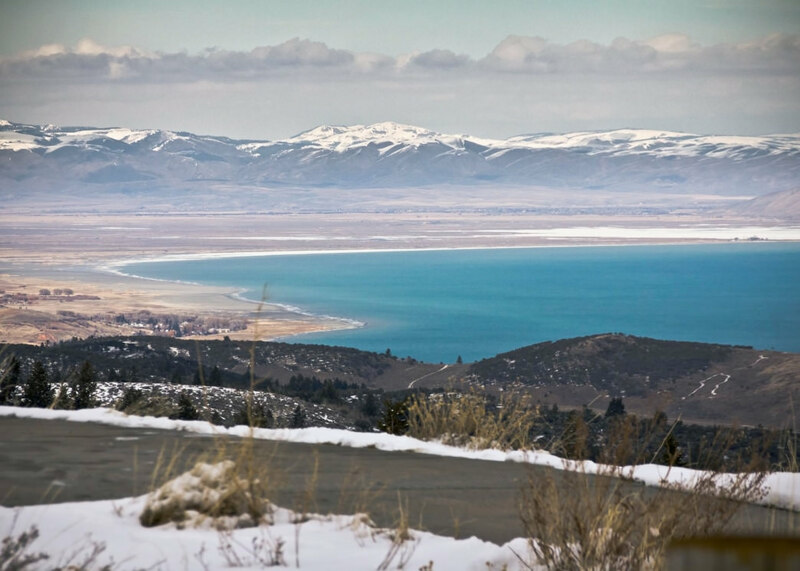 Stick to the trails for an easygoing ride or adventure off-trail and climb the mountains for a breathtaking view of Bear Lake and the entire valley. The more popular snowmobile spots on the Utah side include the Sinks, Peter Sinks, Temple Peak, and the Hardware Ranch. New for this winter, Bear Lake Funtime in Garden City rents four-person UTVs with snow tracks, featuring a heated, full-cab enclosure. 4. Fishing is at its Peak during Winter. Although anglers can fish year-round at Bear Lake, the real draw is ice fishing in January and February when the Bonneville Cisco, a small fish unique to the area, spawns close to shore. During this spawn larger fish such as cutthroat trout and lake trout (mackinaw) come to feed on the cisco, in which jigging for these fish can result in very productive yields—there’s even an annual festival dedicated to the cisco spawn season. Now even cyclists can still enjoy the snow without having to hang up their bikes for the season. Rent a fat tire winter bike from Epic Recreation in Garden City for safe riding on the surrounding trails. A leisurely ride around Bear Lake or through some of the surrounding canyons is a nice alternative to skiing. Most summer trails should make excellent snow biking terrain too—just look for hard-packed snow that the fat tire bikes can grip into. The towns spread throughout the Bear Lake Valley region on both sides of the Idaho and Utah border, including Garden City, have preserved much of the culture and history of the pioneering days in which they were founded. Relive and learn about the area’s history by visiting historic monuments and highway markers along U.S. Highway 89 and 30 from Logan Canyon, Utah, all the way up to Montpelier, Idaho. Rendezvous Beach along Bear Lake between Garden City and Laketown marks the site in which fur trappers and mountain men gathered to trade supplies during the early 1800s. Every January Garden City hosts the Bear Lake Monster Winterfest. Most of the festival’s activities take place in the Bear Lake State Park Marina, including the popular Cisco Disco and Polar Plunge. At dawn, competitive yet friendly anglers gather at Cisco Beach to dip their nets and catch the biggest Cisco fish in the Cisco Disco Tournament. After the limit has been caught, participants then head to the marina, dress up in costumes and jump in the freezing lake to help raise funds for local nonprofits. Prizes go to groups and individuals with the best costumes. Jumping into a freezing lake may not sound enticing, but spectating is just as entertaining! Take your pick of vacation rental, hotel, lodge, or cabins while staying in Garden City. You’ll find a variety of lodging options from luxury vacation homes to affordable motels. Start at bearlake.org, which lists (and offers deals on) many properties in the area. Also in town and within walking distance of shops and restaurants, the Lodge Motel at Bear Lake has budget-friendly rates and pet-friendly policies. Looking for something off the beaten path? Bear Lake Condo Rentals and Bear Lake Rental Properties can help you find that perfect cozy cabin in the woods for a winter getaway. Hungry? Cody’s Gastro Garage is Garden City’s newest restaurant featuring new twists on classic fares.